Color that astounds. Solutions that connect. Technology that saves. 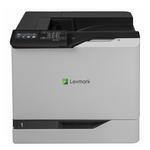 Call us today to order your new Lexmark product! Astounding color. Feature rich. Workgroup ready. Color A4 multifunction device. Perfectly match brand colors and have accurate color output without paying a premium. 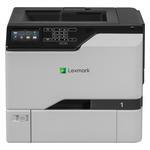 Lexmark Color Replacement combines spot color replacement and RGB replacement for precision matching of critical colors. PANTONE® calibration and embedded color sample pages help nail perfect color at the design stage. Workgroup-level MFP offers performance and features of more costly devices. Powerful color A4 multifunction device in a compact design. 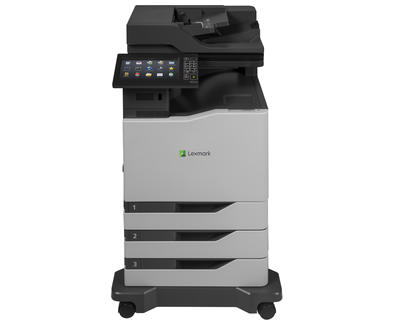 The Lexmark XC4150 offers workgroup-level printing performance and advanced scanning capabilities in a feature-rich package that’s as easy to use as a personal output device. Workgroup-level color printing in a simple, feature-rich package. Small to medium workgroup color laser printer. Combining the capabilities of a workgroup printer with the ease of use of a personal output device, the C4150 features advanced security in a simple, intuitive design. Production-level performance and professional color quality. Medium to large workgroup color laser printer. 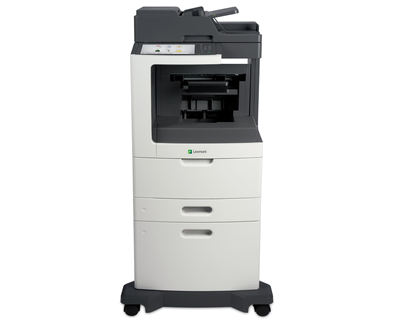 The Lexmark C6160 color printer brings production-level performance and quality to the office, with the most advanced imaging technology available. 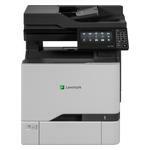 Includes a customisable e-Task touch screen with integrated OCR software, 1,200-sheet standard input, 1GB of standard memory and 160+GB hard disk provides print, copy, fax, scan and email functions. 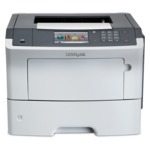 Network-ready laser printer includes a 4.3-inch color touch-screen operator panel, internal 2-sided printing, 512MB of standard memory, 650-sheet input and a front USB Direct Interface.